Vandal resistant, energy efficient and UV stabilized polycarbonate bulkhead luminaire. 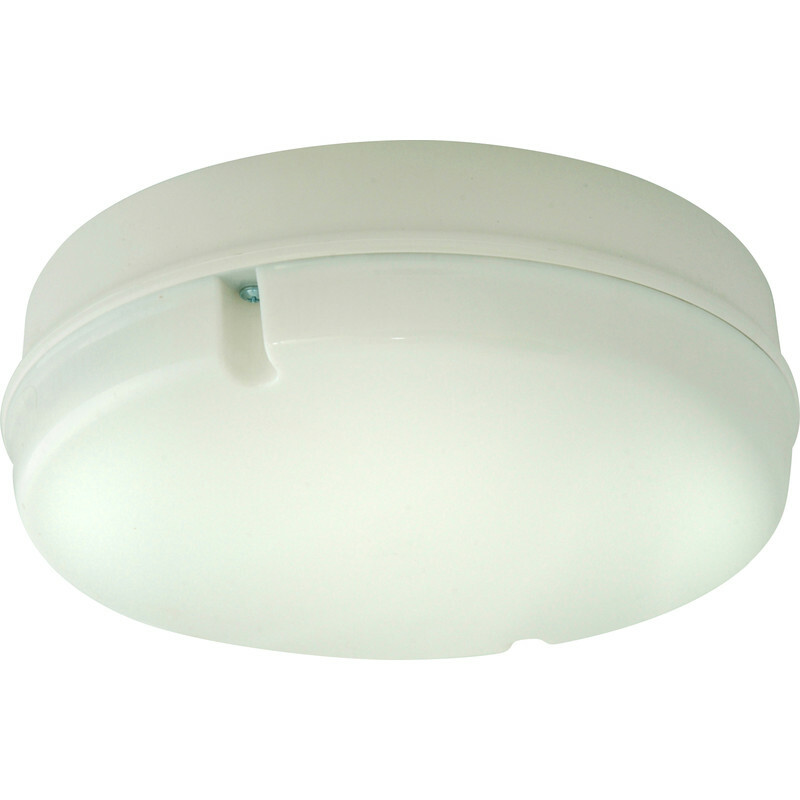 Fern Howard Trojan Round HF 28W 2D IP65 Bulkhead White Opal is rated 4.2 out of 5 by 6. Rated 5 out of 5 by Sims from Bright light I bought this 2 weeks ago, am really happy with the service and my purchase. Rated 1 out of 5 by Disappointed12334578 from Discontinued! Great lights at a great price, unfortunately Toolstation have decided to stop selling them! Rated 5 out of 5 by Chip from Excellent product Needed a replacement low maintenance light fitting for a work shop toilet area & this fit the bill perfect. Low cost running, low maintenance & tough but still looks fine. Rated 4 out of 5 by NormCC from Good value I bought this light to illuminate a new rear porch where we hide our waste bins. It was easy to fit, cheap to buy and included a low energy bulb. It looks fine and if I needed a similar item, then I would be happy to purchase another.